We're literally splashing the cash in our brand new Cash Splash offer. There's £15,010 up for grabs right now at Pots of Gold. Better yet, 1,000 lucky players will share in this prize draw pot. And if you bag the maximum £3,000 prize... well let's just say that your 2019 is off to a swimming start. Our new Cash Splash promo will be active till the 6th February - and we will be drawing winners on the 7th. Want to dip your feet in the pot? Here's how you win. We're making it easy for you to lay your hands on a prize, so there's no complicate leaderboard or bonus codes to remember this time around. 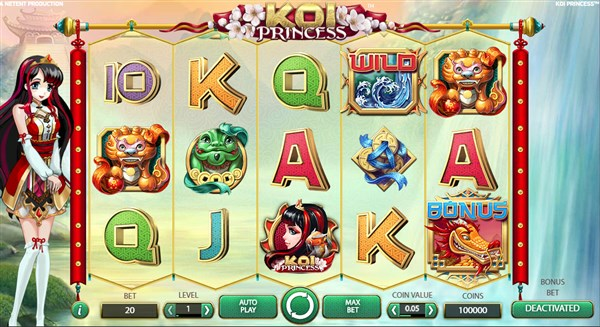 All we're asking is that you play our select NetEnt slots Koi Princess and Spinata Grande to earn prize draw tickets. Every £20 spent on either of these games will net you a ticket. And each ticket you collect will net you another entry into the prize draw. Best of all? There's no cap on the number of tickets you can earn - this means you can amass a whole bunch of tickets. The more tickets you collect, the better your chances of winning the top prize. Once our Cash Splash has ended, we will draw 1,000 names from the hat. If you have collected enough tickets, you could find yourself in the top 10 with some of the biggest prizes. See? It's really easy to enter. And considering the prizes on offer, it's worth your time too. If you have been collecting tickets then buckle your seatbelt, you could be receiving one of these special prizes. All of the above winnings are paid out in cash. And that means, your prize will be delivered to your account in real cash winnings. You can withdraw straight away - or try even more of your favourite casino games. So what are you waiting for? Start collecting your tickets to get the biggest splash of the prize draw. Need some more help? Read on below for our FAQ and terms. Is this a real money prize draw? Yep, we'll be paying out the winnings as cash directly to your casino account, with no wagering attached. How many times can I win? You can only win one prize from the Cash Splash offer, regardless of how many tickets you have. The Splash ‘n Cash Giveaway network promotion will run from 28 January 2019 (00:00 CET) till 6 February 2019 (23:59 CET). Only players from the UK and Ireland as established by their IP addresses without using a proxy, are eligible to participate in the promotion. Mechanics: Every time a player wagers £20 or other currency equivalent of real money wagers across qualifying games in a single promotional day, they will receive 1 entry ticket to the prize draw.